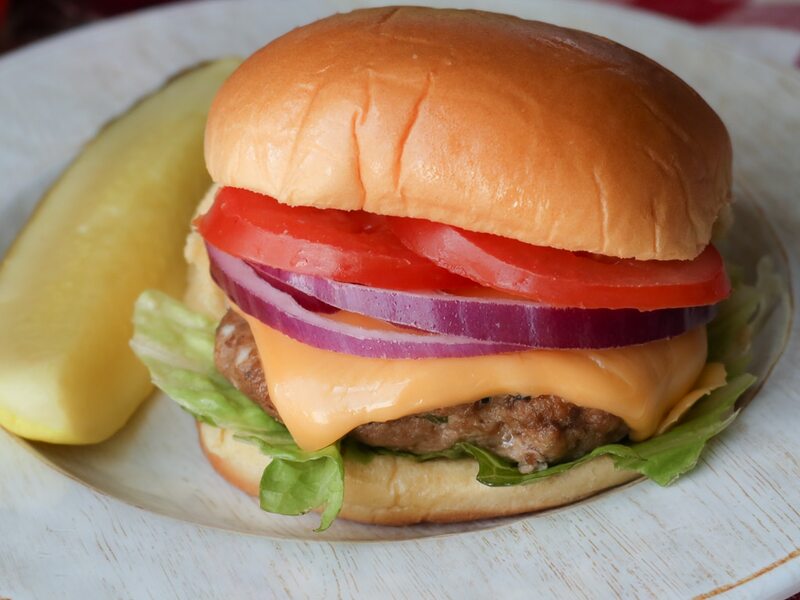 Juicy turkey burgers seasoned with herbs, garlic, onions, and spices! Visual learner? Watch me make this recipe from start to finish! Are you we still eating healthier? Yes. Ok cool! Just checking. Let me know when you’re done so that I can go back to posting my smothered and covered, down-home, comfort goodness recipes! Ha! Just kidding. Those are coming regardless, but I have made it a point to mix in more lighter recipes. Besides, naughty and nice are always the perfect couple aren’t they? 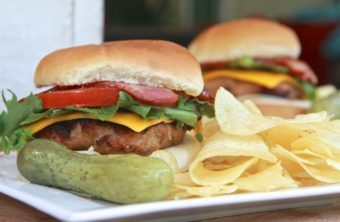 Today I’ve got some AMAZINGLY moist and juicy turkey burgers for you to try! They will probably become your favorite! Oh yeah, but here’s the small print, they do contain butter. I mean, I didn’t want to throw my system into shock by not including it. However, these burgers do NOT have eggs or bread crumbs. That has to be a win somewhere. 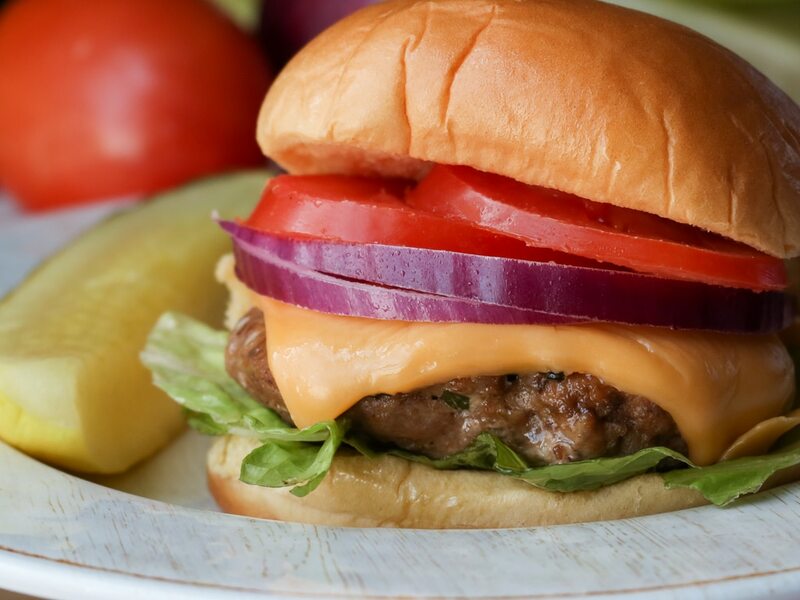 These garlic and herb turkey burgers are full of fresh herbs, garlic, onions, and spices. My boys devour these patties plain; no bun, condiments, nothing! I can’t blame them because they are that flavorful, yet perfectly balanced so that they don’t steal the show from all of your favorite burger condiments! I keep telling myself that I’m going to make up a big batch so that I can freeze them, but you know how that goes — something else to add to the never-ending to-do list. I made these garlic and herb turkey burgers for dinner on Tuesday. They are so quick and easy which makes them perfect for meal prep, something I’ve become more strict with. I made the patties up on Sunday and they were a breeze to throw into the skillet while the home-fries were baking. I added a side of cole-slaw and dinner was amazing! 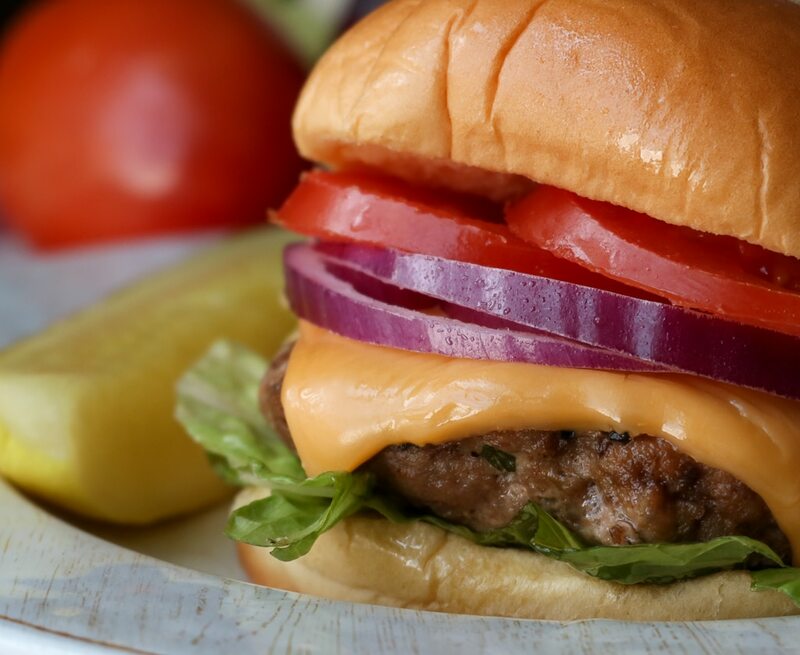 Use your favorite burger toppings! I always go with American or provolone cheese (or both), lettuce, pickle, tomato, red onion, and turkey bacon. A bit of spicy, mayo, ketchup and mustard and you’ve got yourself one of the best turkey burgers ever created! 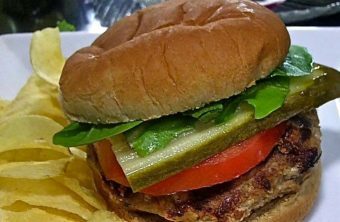 What makes this turkey burger so amazing? Errythang! From the fresh herbs to the butter, to simmering it in Worcestershire broth! I’m eating one right now for lunch and doing a lil happy dance as I type. They are even BETTER the next day once all of those herbs and garlic have had a chance to hang out a bit longer. These look soooooo good. Cannot wait to try. Thanks again Monique for always providing us with the best recipes. Seriously, you always deliver lol. Btw, I seriously just finished your sweet potato casserole in the oven lol.